At Coffee Ground we believe that the inferior coffee traditionally offered by mobile event caterers should be a thing of the past. No longer will patrons have to accept substandard coffee. 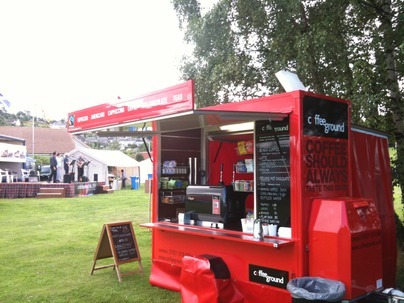 Coffee Ground provides superior quality coffees, teas and hot chocolates at outdoor events. You will find us at all types of events and shows including, Equestrian and Agricultural shows, Galas, Fetes, Flower shows, Festivals, Games days and Sporting events.